These are not your average Sunday School resources. These are tools you can use to take kids who "know all the stuff" deeper in intimacy with God. Use them, share them, adapt them, we don't mind. We just pray that the children in your life have real encounter with the Living God. Below are free downloads and supplements that go along with the curriculum we offer for purchase in the store. 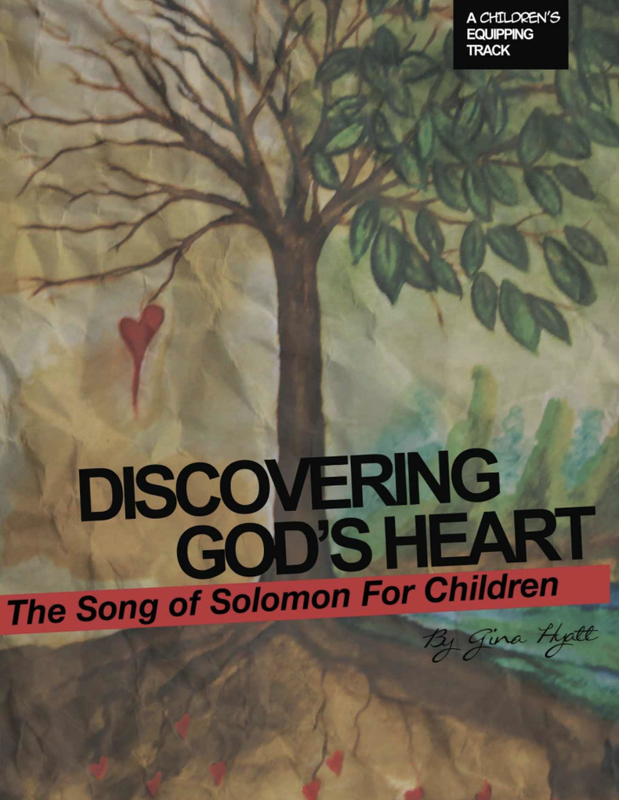 Discovering God's Heart Student Workbook accompanies the Song of Solomon for children curriculum. Each student going through the class curriculum should have their own workbook. This workbook is geared for 8-14 year olds. Click to purchase on Amazon. $7.69. You can download this free version of apostolic prayers to use with your kids. It will print in a booklet style that you can simply staple in the middle to create a 5x7 booklet. This was a 4 week series I created to help our kids engage in our Encounter God Services. We didn't have very much for the kids to do who were 1st grade and up, and we wanted them to feel a part of the service. In this 4-week series, they got a little taste of the main components of the prayer room and then were rewarded at the end according to their attendance and participation. Below you can download the Teacher's Guide and the Student Workbook. Just print out one week at a time for your kids or all together as a booklet they can leave at your church/classroom. REVELATION BY MEDITATION for Kids! During the Foundations of Prayer Series, your kids will learn how to meditate on God's Word. We love using these booklets for tools our kids can use in the prayer room and they can also use them at home during devotional time as well. Please feel free to download these and share them with all your friends!